Impromptunes returns to Bondi Feast! The lights dim and a brand new musical opens for the first, last and only time. Impromptunes combines the mischief of improvisation with the magic of musical theatre in an awe-inspiring show. The audience suggests a show title and seconds later the overture begins. You’ll be on the edge of your seat throughout as the Impromptunes cast improvises a musical full of hijinks, harmonies and hilarity. It’s unrehearsed. It’s unpredictable. It’s a whole lot of fun. It’s Impromptunes! Impromptunes made a highly successful debut in 2013 and has since performed their flagship show The Completely Improvised Musical to sell-out crowds across Australia and internationally at Edinburgh Festival Fringe. 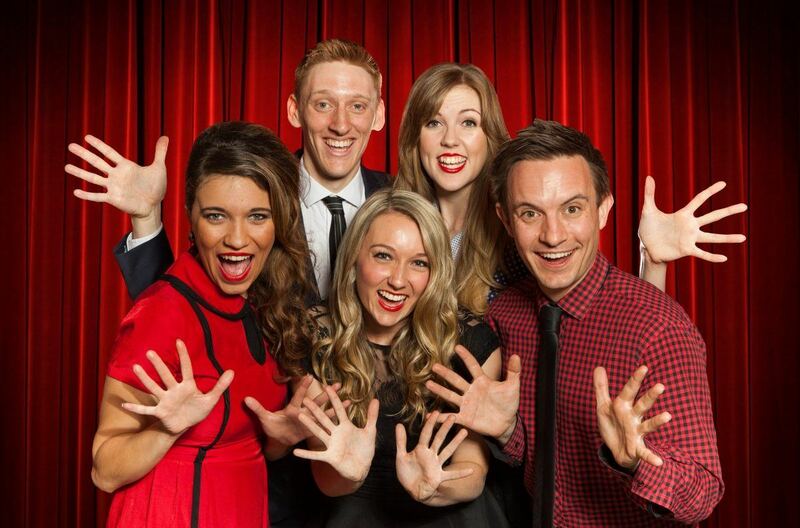 The unique combination of trained musical theatre performers (WAAPA, VCA, Queensland Conservatorium) with professional improvised comedians (The Big Hoo-Haa, Impro Melbourne, Spontaneous Broadway) makes it a show that time after time provides a viewing experience like no other.
! May contain coarse language and adult themes.